Buy The Book & Take Control of Your Health! If there's one word above all others that represents the path to optimal health, it would be this: balance. Yet for those suffering from the underlying symptoms of hemochromatosis, balance can seem impossible. How can we balance a genetic disorder with our goal for a truly healthy life? It was a question that I had to answer in my own life, and the answers led me to build a guide for everyone else silently suffering through a life where it feels like your own body is turning against you. Plus many more tips and strategies! 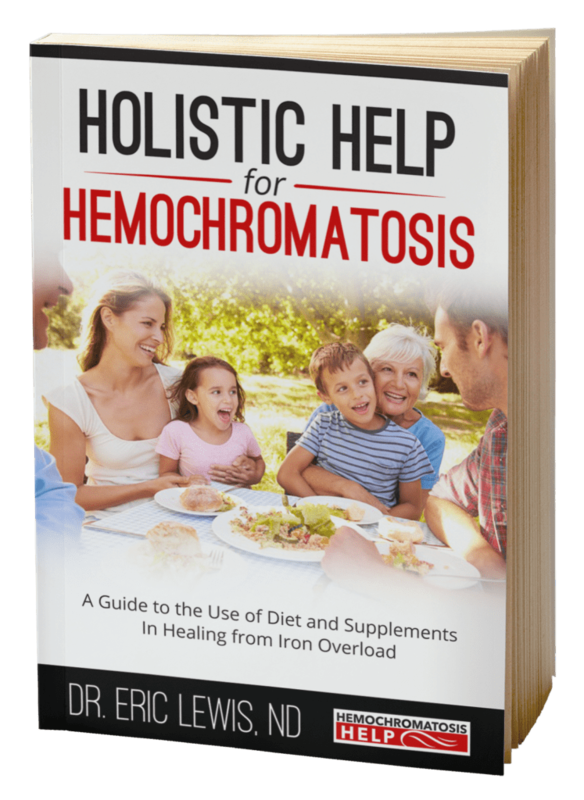 Who Needs to Read Holistic Help for Hemochromatosis? Do you know what to eat when you have hemochromatosis? Have you been given confusing advice, limiting advice, or no advice at all about how diet impacts iron overload? Would you like clear, simple, practical and easy-to-understand strategies for how to eat to help reduce iron overload? Are you curious to integrate nutritional supplements, but unsure which natural remedies are safe and effective? What oxidation means for the body, and about the key antioxidant that the body practically can't get enough of! Many more tips and strategies, as well as how to put everything you learn into action! In 2012, he founded the website HemochromatosisHelp.com to share with the rest of the world what he has learned about iron overload in a clear, easy-to-understand, and friendly way. Get The Book & Take Control of Your Health!